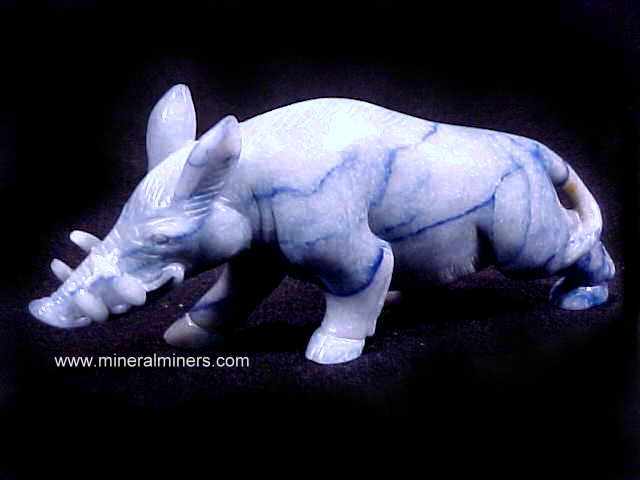 Blue aventurine is a quartzite, which is composed of macrocrystalline quartz grains with disseminated dumortierite as the color imparting mineral. There are many named quartzite varieties, usually based on the color. Quartz (SiO2) is the most abundant single mineral on earth. It makes up about 12% of the earth's crust, occurring in a wide variety of igneous, metamorphic and sedimentary rocks. Coarsely crystalline quartz is common in many rocks. Because of crystalline quartz's mechanical and chemical stability, it endures as detrital grains when quartz bearing rocks break down, and these grains can accumulate as sand and pebbles in sedimentary deposits. Some sedimentary deposits are composed almost entirely of quartz grains which can become cemented together with time leading to the formation of sandstones. When a quartz-rich sedimentary deposit or a sandstone undergoes high grade metamorphism (metamorphism is the alteration of a rock due to changes in heat, pressure or chemical environment), the original material alters to a compact rock composed of interlocking quartz grains known as quartzite. Other minerals may form in the quartzite during the high grade metamorphism, depending on what impurities were present in the original sandstone or sedimentary deposit. 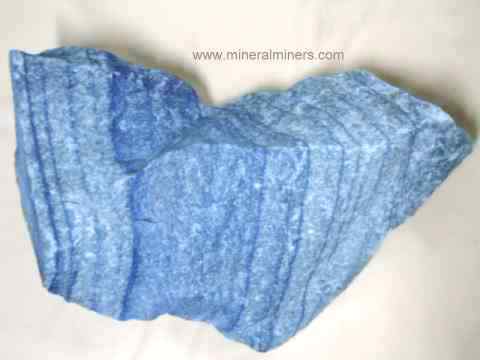 If aluminous sediments containing the element boron were present, then the mineral dumortierite can occur disseminated within the quartzite giving it a blue color. 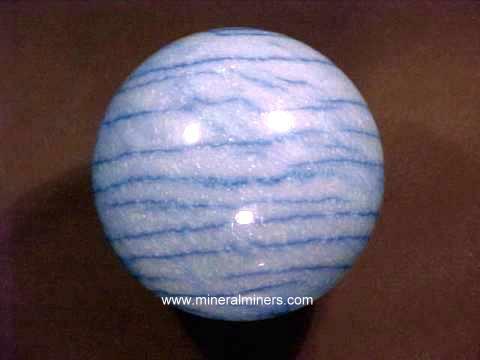 This rock is known as blue aventurine quartz. 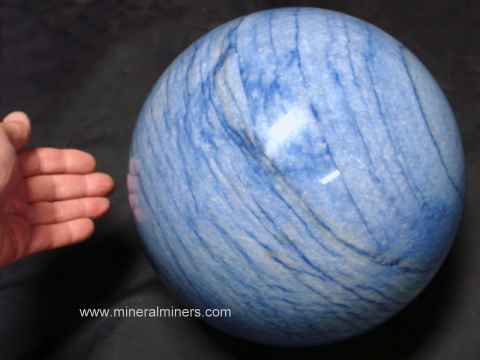 The dumortierite often forms in locally concentrated layers within the quartzite producing an attractive pattern of deep blue colored lines on a lighter blue-gray background. Blue aventurine quartz is characterized by its occurance, hardness, conchoidal fracture, specific gravity, refractive index and luster. Quartzite is distinguished from sandstone by its fracture, which passes through the grains in quartzite and around the individual grains in sandstone. Aventurine rough has been worked by man into ornamental objects for thousands of years. 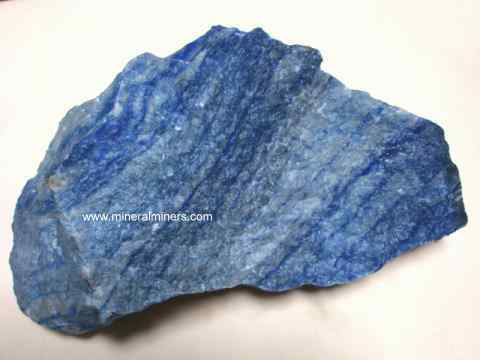 Blue aventurine quartz is a popular lapidary material today, showing an attractive natural blue color when polished or when wet. Due to its relatively inexpensive price and beautiful color when wet, blue aventurine quartz has also been used as a decoration rock in fountains, aquariums, waterfalls and other indoor and outdoor landscape & design/decore projects. Quartzite is also used as a building material. Some of the earliest primitive stone tools (axes) fashioned by man's ancestors 2.5 million years ago in the Omo valley in Ethiopia, were made of quartz varieties such as quartzite. These materials were used because of their hardness and their isotropic brittleness which made it possible to shape the tools with relative ease. The name quartz comes from a Saxon word meaning cross vein ore. 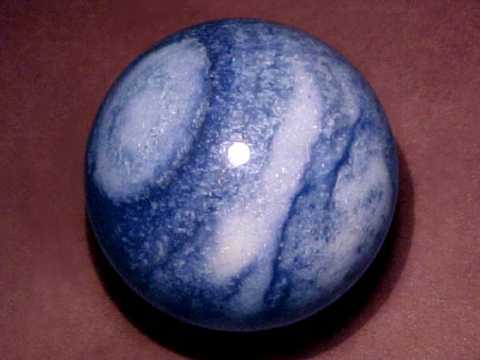 The astrological sign of blue aventurine quartz is Leo. 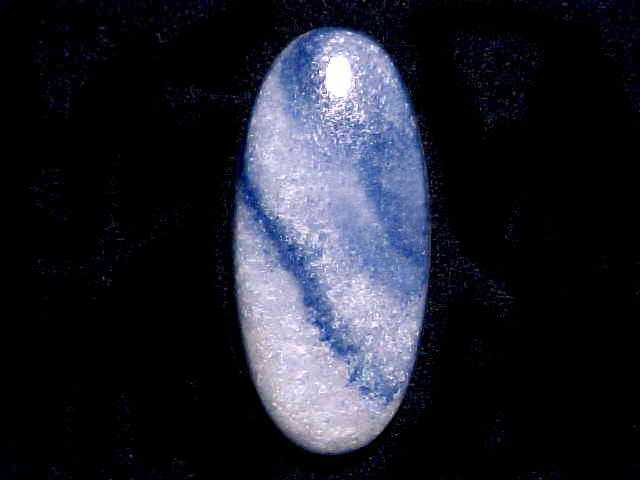 Blue aventurine quartz is an alternate birthstone for the month of August. Blue aventurine quartz is said to provide patience, eliminate stubbornness, control excitability, and to give a deeper understanding of the cause and effect in situations thus allowing one to more fully understand and to find the optimum solution. Blue aventurine quartz is also said to help release toxins from the body, to increase stamina, and to provide strength to those suffering from wasting diseases.